Hard coding speed and duplex settings on a device is very important. Some times it is essential to hard code your settings to work with and ISP or neighboring device. 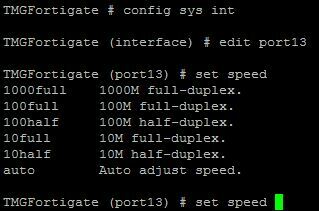 To change the speed/duplex settings manually you will need to use a CLI command. The default setting is to Auto Negotiate, but as we all know sometimes on the ISP or local side it can negotiate to half duplex, or never correctly negotiate. Fortinet now has the ability to see speed/duplex by hovering over the interfaces in the GUI. This option became available in MR5 patch 4 i think. 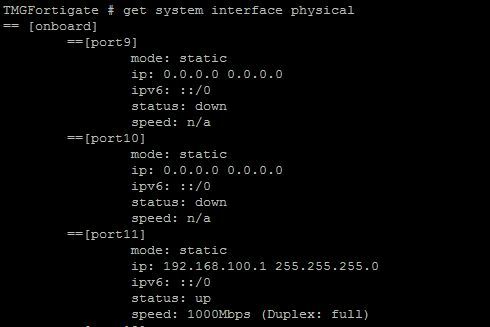 This command shows the IP, status, and speed/duplex. This command gives you much more info, such as errors and drops. Thats, it! 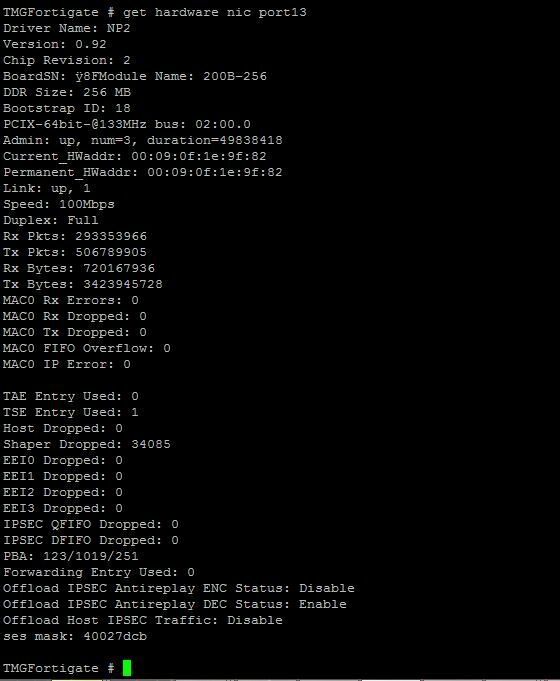 Notice that get system hardware nic gives you all kinds of stats about that interface.